The Chef de Cuisine is responsible for the entire kitchen, with their duties encompassing the management of kitchen staff, generating menus and monitoring costs and ordering products like double door bottle coolers, such as those found at https://www.fridgefreezerdirect.co.uk/commercial-bottle-coolers/double-door-under-counter-bottle-coolers. The majority of head chefs will delegate the day-to-day kitchen tasks to those lower down the chain, like the sous chef. The second chef, otherwise known as the sous-chef de cuisine (under chef), is usually more involved in the everyday activities of the kitchen, although their duties do tend to overlap with those of the head chef. Larger kitchens usually have one or more sous chefs, with its own mini-hierarchy of executive, senior and junior roles, whereas smaller kitchens may have none at all. Alternatively known as the station or line chef, they control a particular section, or station, within the kitchen, usually being the sole worker in that department. However, in larger kitchens they might have kitchen assistants for support. In larger establishments, chefs de partie may have specific roles, including butcher chef, fish chef, fry chef, grill chef, pantry chef, pastry chef, roast chef, sauté chef and vegetable chef. For more information on the chef de partie’s role, click here: https://becomingachef.co.uk/what-is-a-chef-de-partie/. 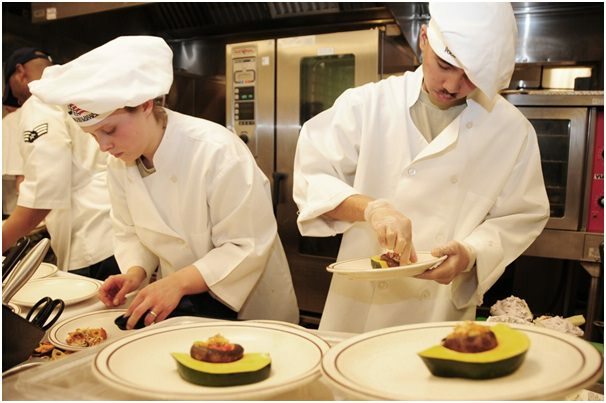 Working under a chef de partie, learning about the particulars of a station, this junior member of the kitchen is usually still participating in culinary training. Since they probably don’t have formal training, kitchen porters are usually involved with rudimentary duties around food preparation, such as peeling potatoes and washing produce. 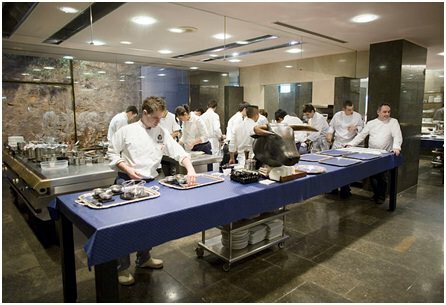 The dishwasher, or escuelerie (quite a fancy title), does exactly as the title suggests – washes cutlery and dishes.